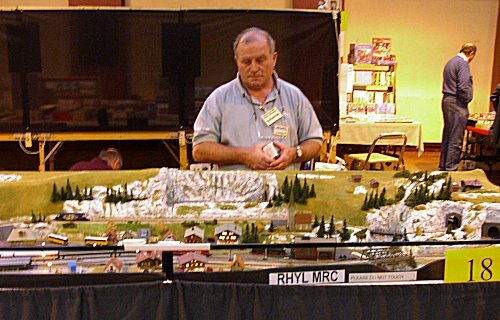 Alsdorf is a ficticious N gauge layout with a Swiss theme. It works entirely automatically using Heathcote Electronics modules and infra red detectors. The detectors which reflect back from the underside of vehicles, can be seen in the track centres on station approaches and at station stops. These in turn trigger other home made electronics and signals. 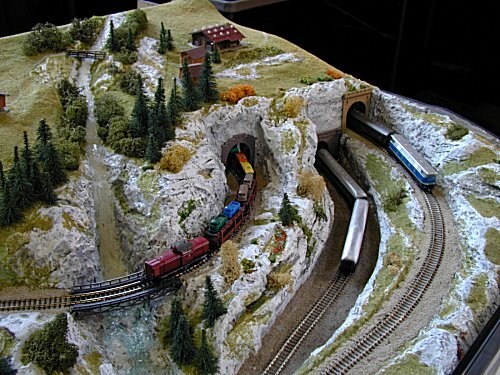 The layout is a single track main line with a passing loop. 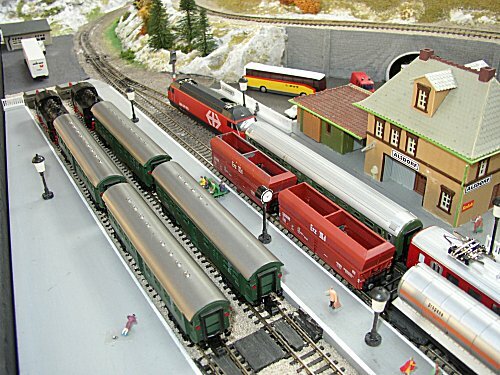 The trains leave the station alternately and at the rear of the layout these release a different train to the front. When the train arrives in the station it triggers four point motors at the same time, reverses the polarity, clears the signals and sends the other train out. There are seven trains in use at any one time. It is basically a board full of electronics with a small railway on top! 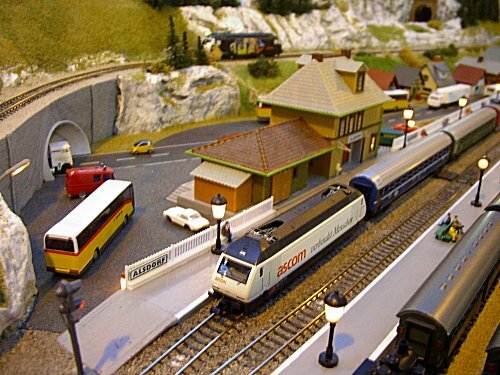 The locos and rolling stock are a mixture of Swiss and neighbouring countries. The scenery is mainly polystyrene carved with a solder gun.